A mushroom for every meal. 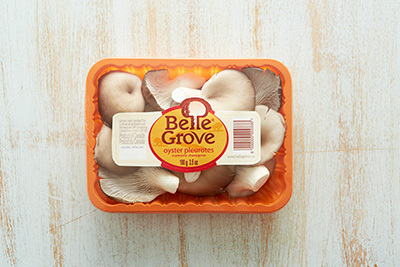 Mushrooms come in all different shapes and sizes, and so does our full range of fresh mushrooms. 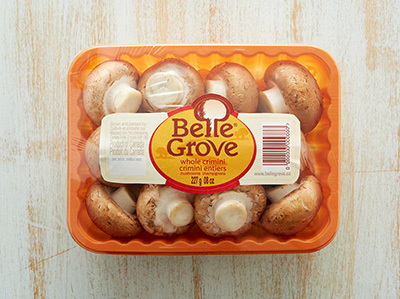 All our mushrooms are handpicked daily and are grown without pesticides, so they’re fresh, natural and tasty. From buttons to stuffers, we grow a wide variety of white mushrooms. White mushrooms have a mild and delicate flavour that intensifies when cooked. They’re super for adding flavour to soups and sauces. Top Tip: Add a squeeze of lemon and sprinkling of parsley whilst cooking white mushrooms. 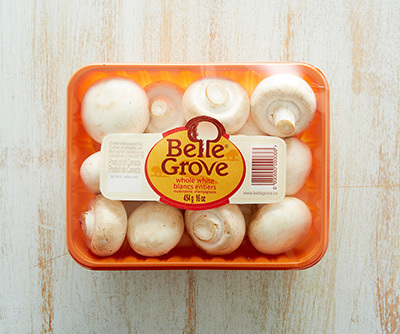 Our crimini mushrooms have a rich earthy flavour and range in colour from light tan to a deep brown. Compared to white, crimini mushrooms have a full-bodied flavour which is great for adding an extra depth of flavour to risottos, stir frys and pasta dishes. Top Tip: Add sliced crimini mushrooms to a Spaghetti sauce for extra texture and flavour. 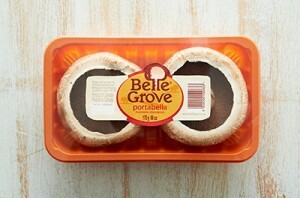 Our Portabella mushrooms are matured for a full bodied flavour and firm, meaty texture. These velvety brown caps are ideal for grilling and roasting or on the BBQ as a meatless burger. Top Tip: Stuff the caps with cream cheese and bacon bits, season with salt and pepper before baking for 20mins. Our range includes a selection of specially sourced exotic mushrooms such as King Oyster, Shiitake, Oyster and Enoki mushrooms. King Oyster: King oyster mushrooms have a delicate woodsy, almost sweet flavour which is great for Chinese and European cuisines. They turn golden brown and nicely crisp when grilled, sautéed or stir fried. Shiitake: Shiitakes have a woodsy, meaty flavour and texture when cooked which makes them perfect for pasta dishes and stir fries. Oyster: Oyster mushrooms are not only sweet tasting but versatile. Their subtle flavour and texture makes them great in stir frys. Enoki: More like a grape than a mushroom, enoki mushrooms have a slightly acidic and fruity flavour which makes them delicious eaten raw. Top tip: If you’re looking to experiment in the kitchen, try our exotic range, stir fried and served on a bed of noodles. Want to know more about mushrooms? Visit Mushrooms Canada for recipes, tips and tricks.